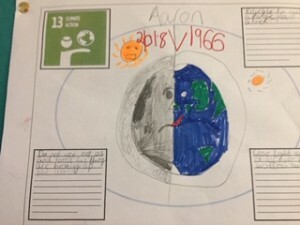 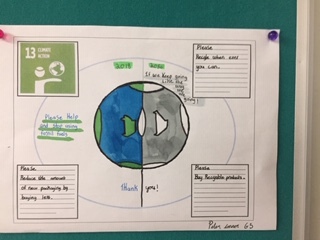 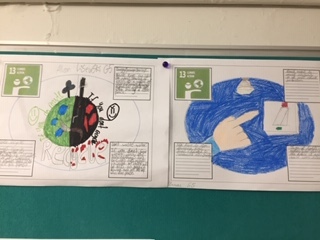 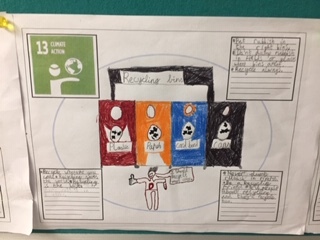 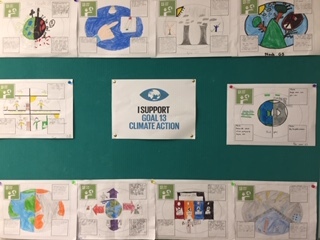 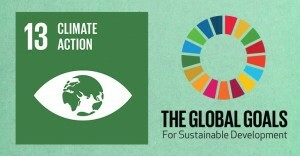 R6 worked in pairs to research and create projects based on the 17 Global Goals. 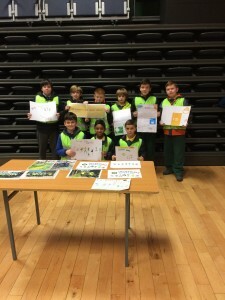 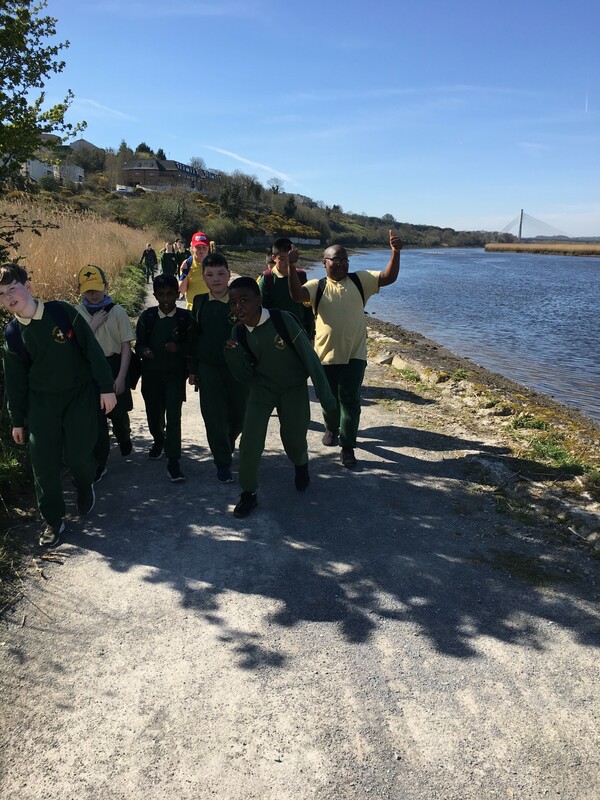 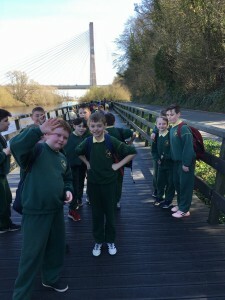 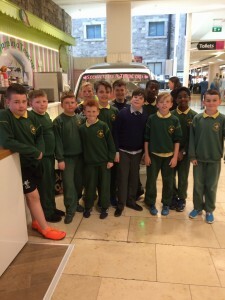 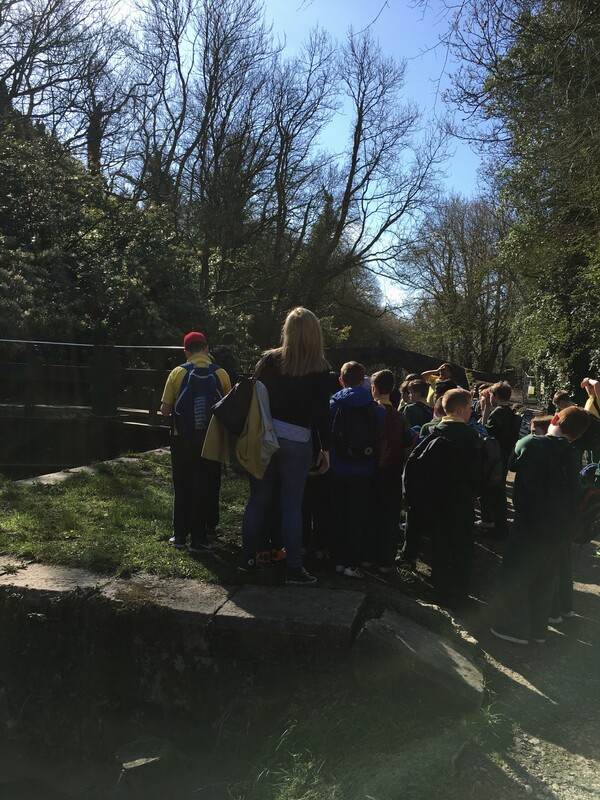 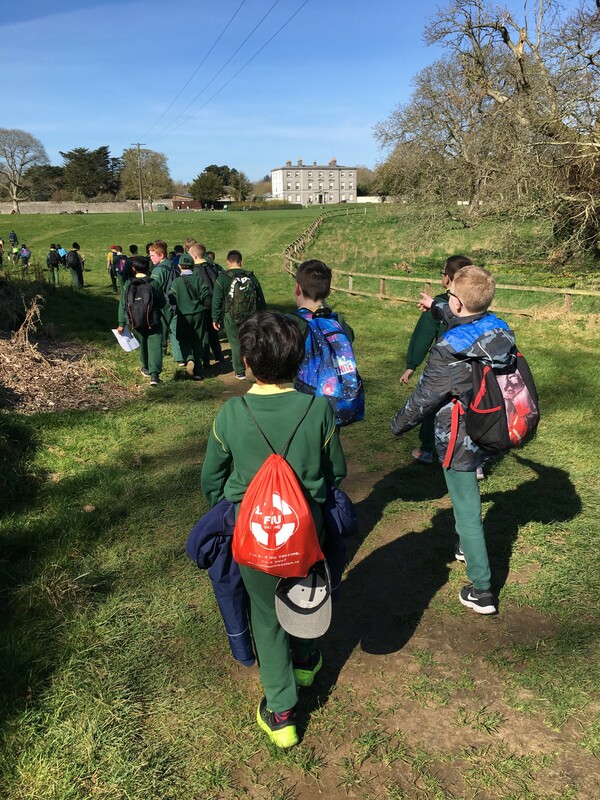 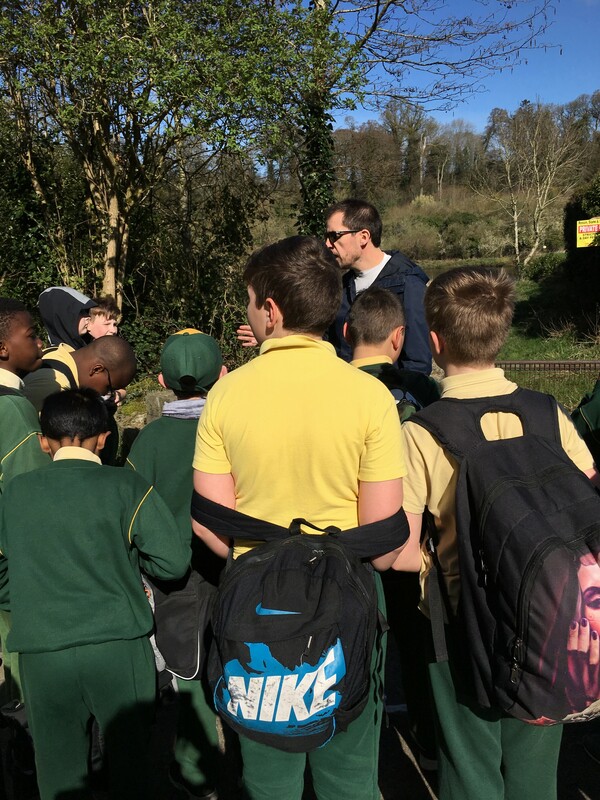 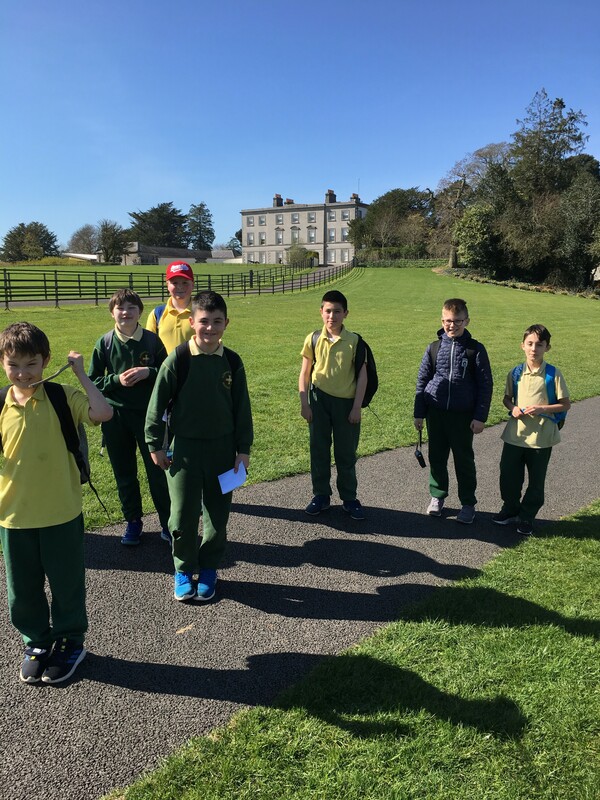 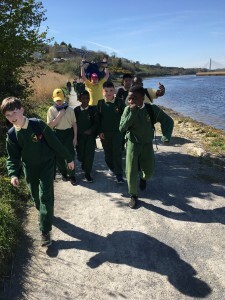 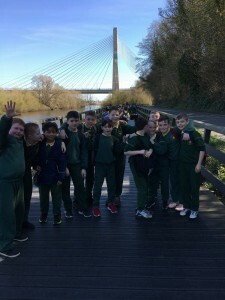 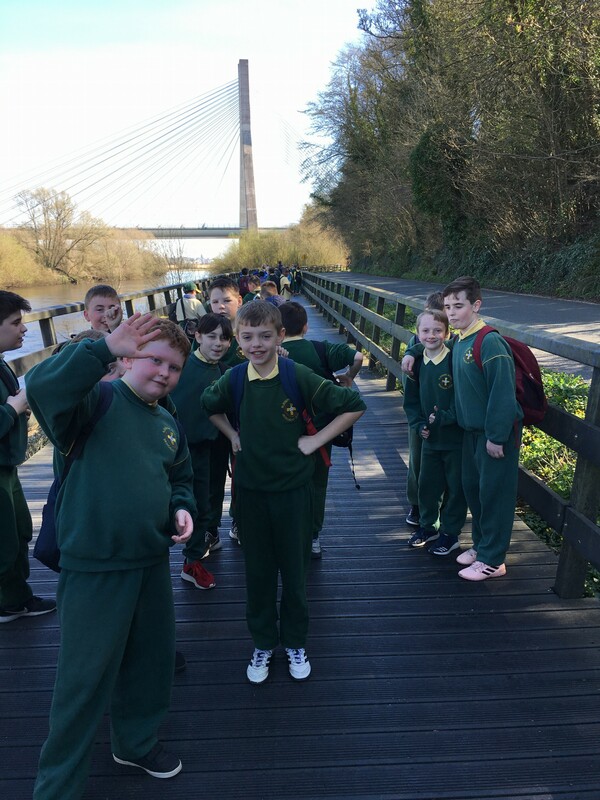 The Green Schools’ Committee with Mrs Berrill and Ms Gregory attended a Drogheda Grows event in the Barbican recently. 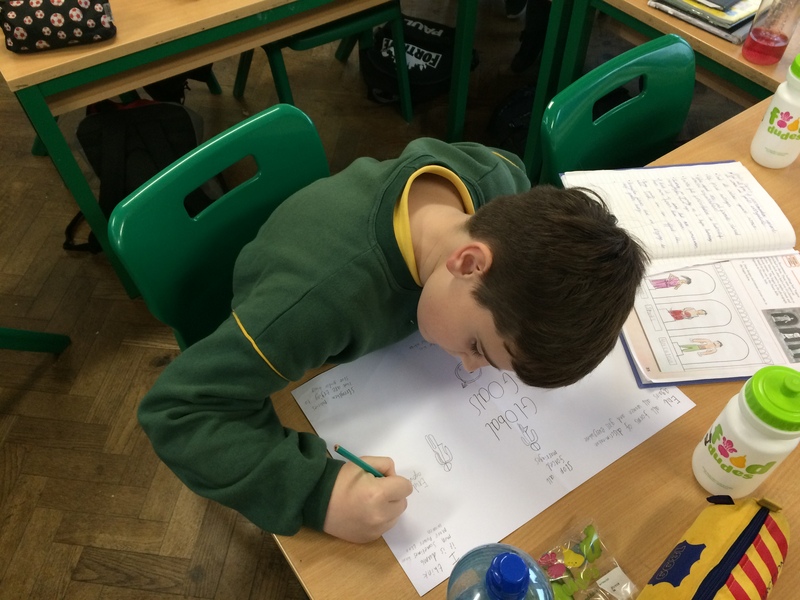 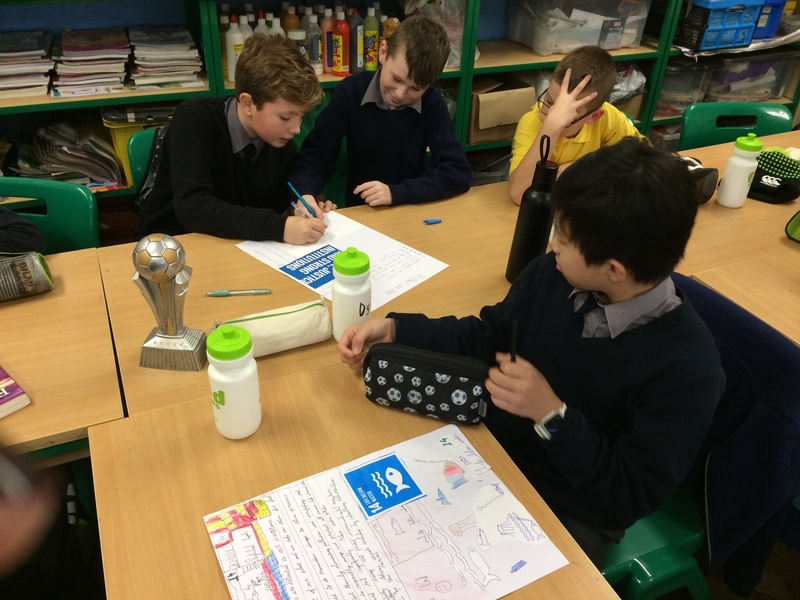 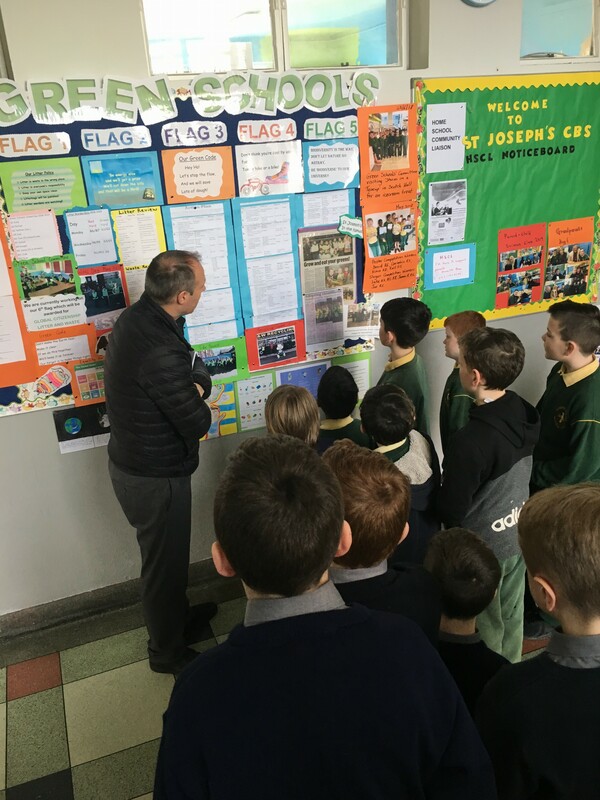 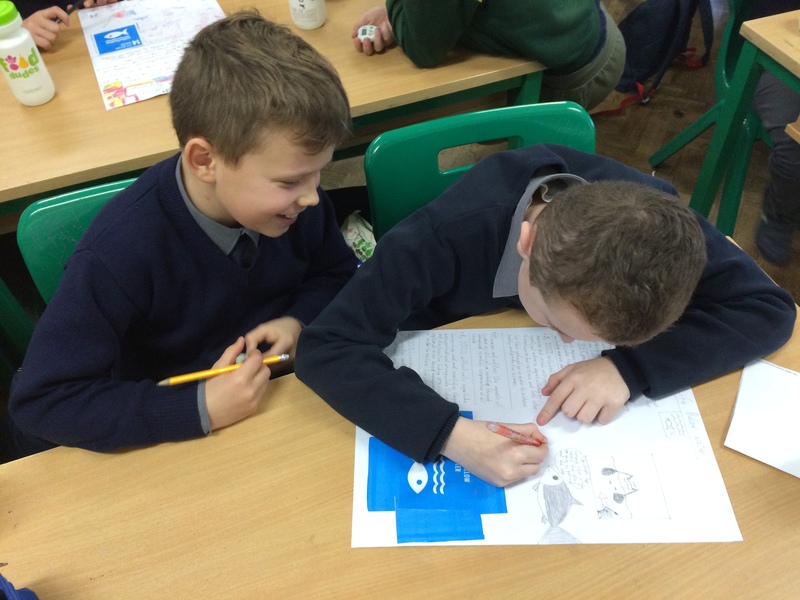 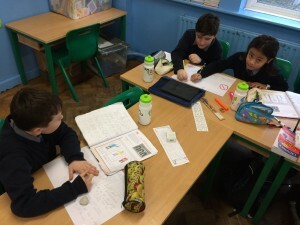 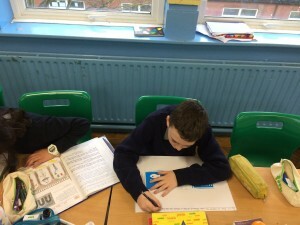 Our new Green Code was decided on following a slogan competition held throughout the school. 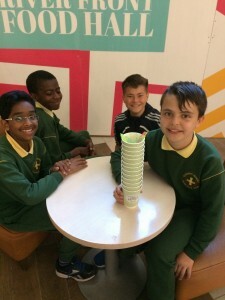 We’ll keep it up forever. 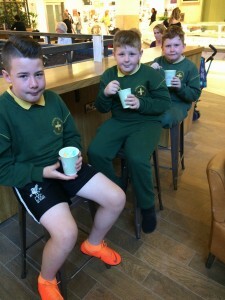 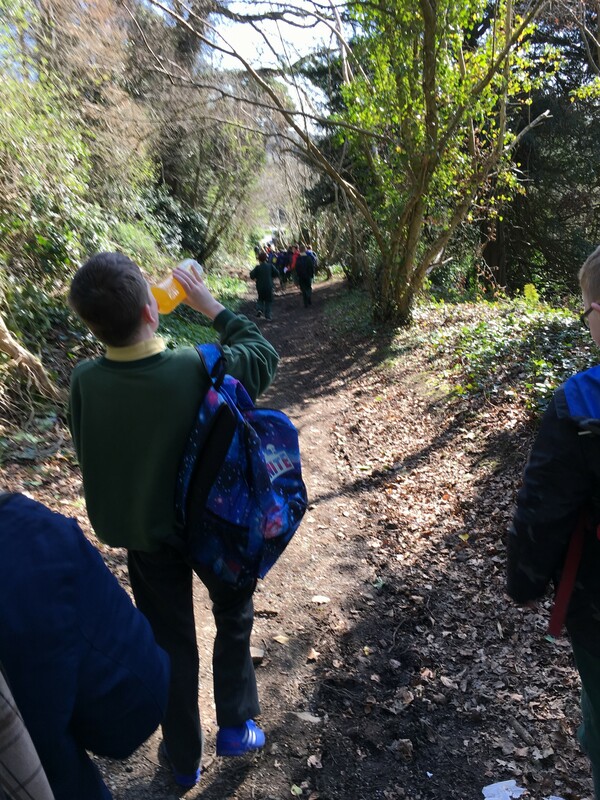 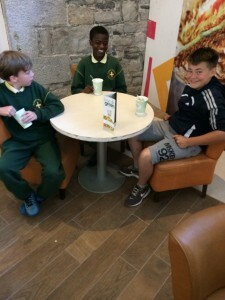 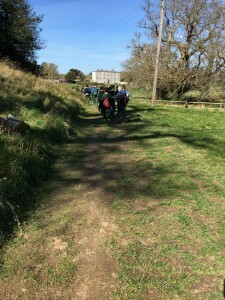 Ice-cream treat for Green School Members! 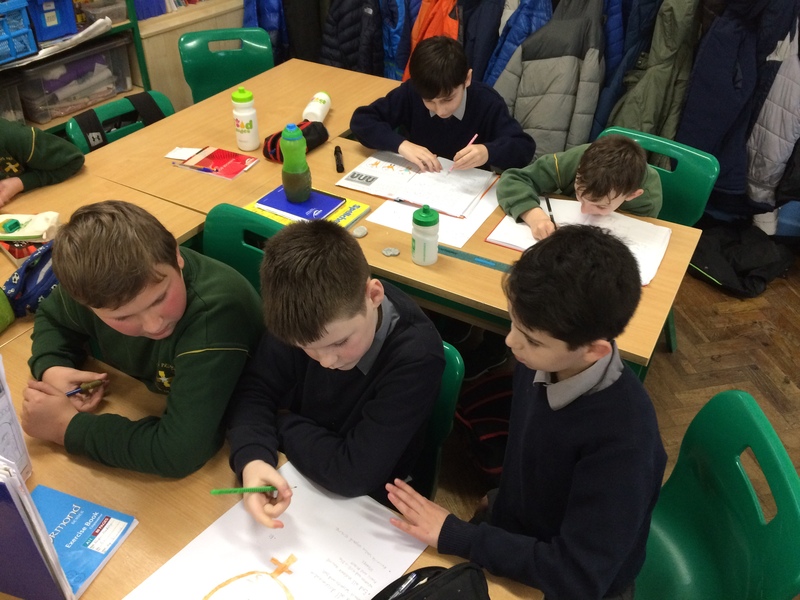 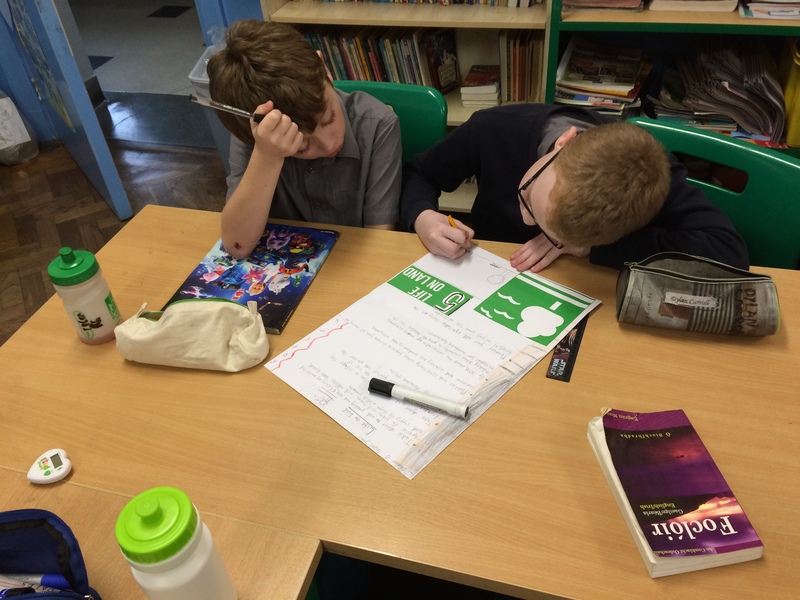 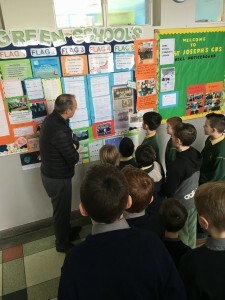 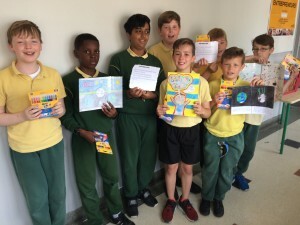 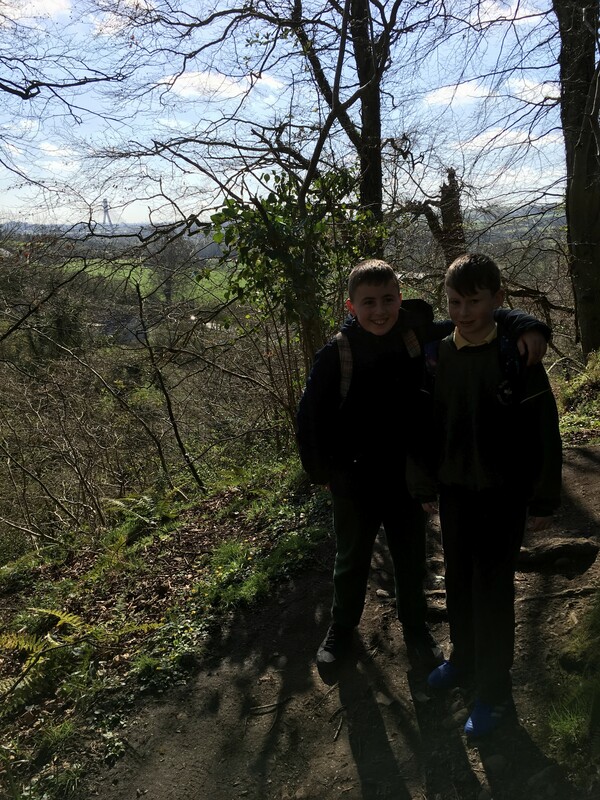 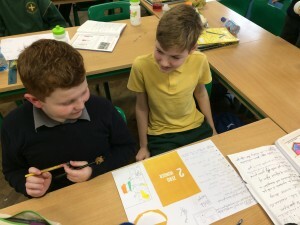 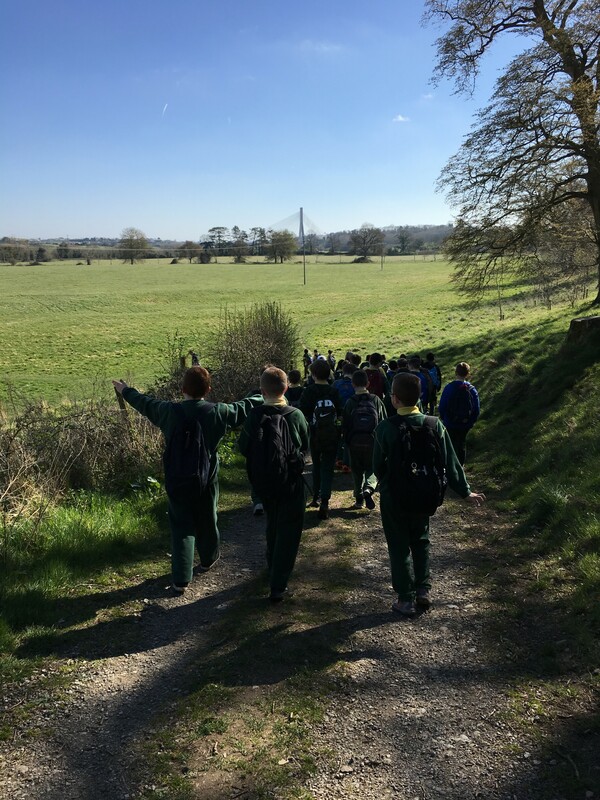 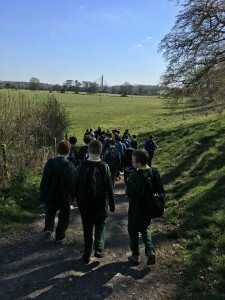 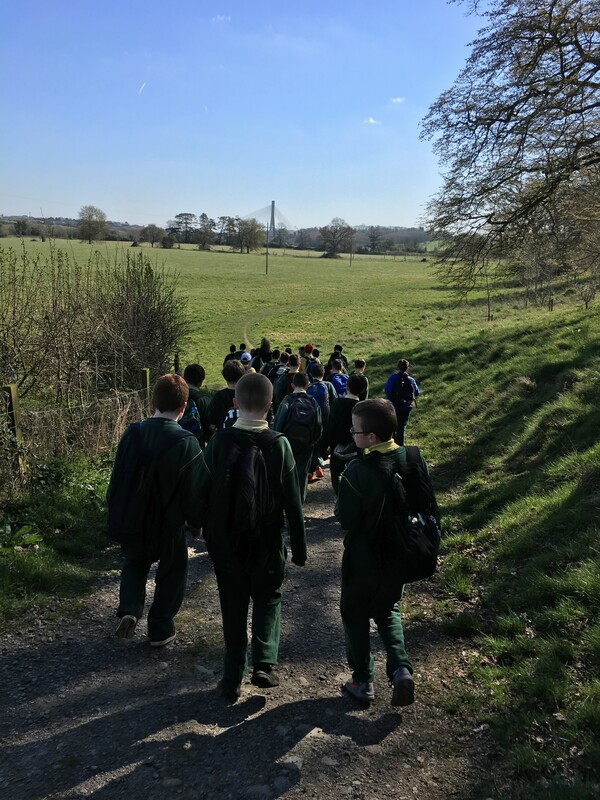 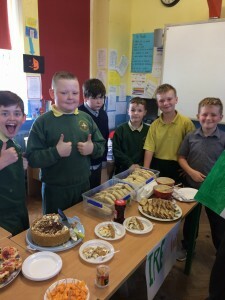 The Green Schools’ Committee have had a very busy year. 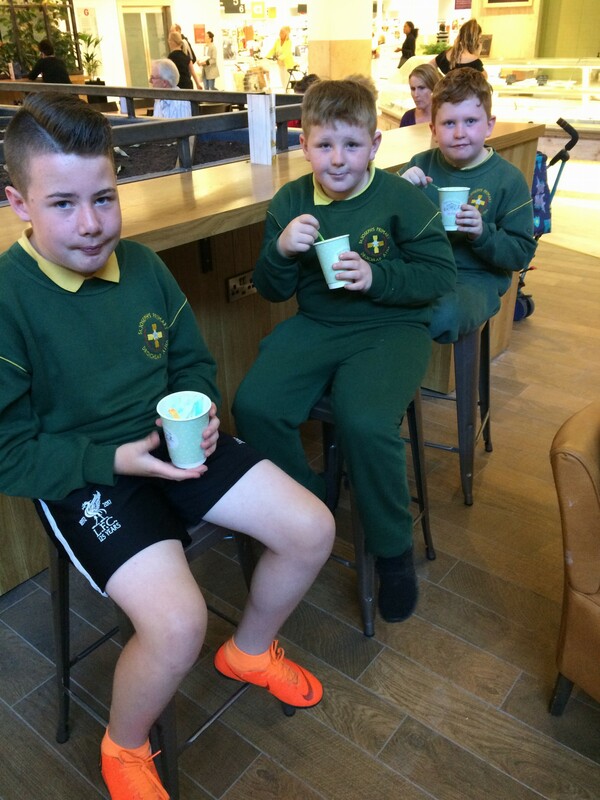 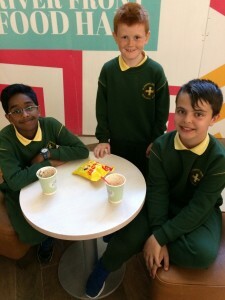 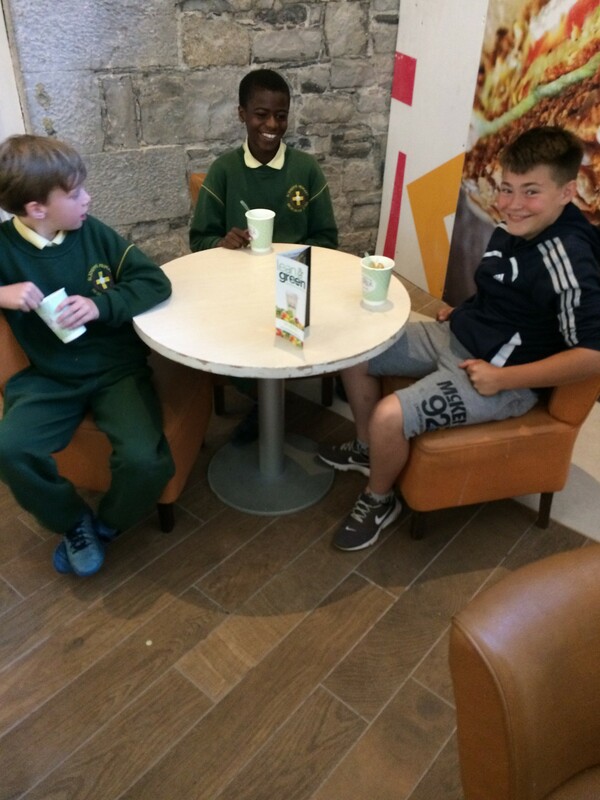 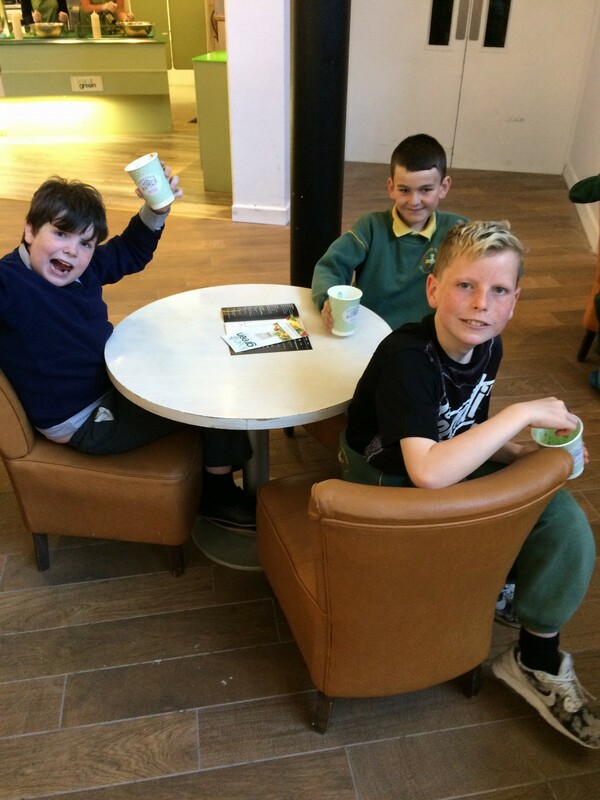 On Friday 22nd June ,they visited ‘Storm in a Teacup’ in Scotch Hall for a well deserved ice-cream treat! 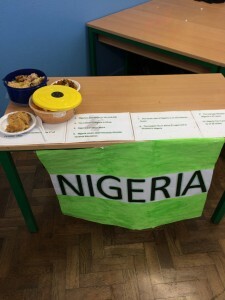 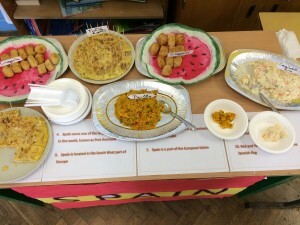 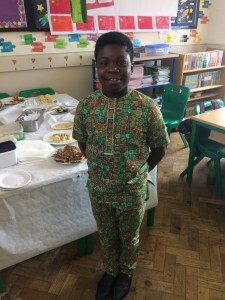 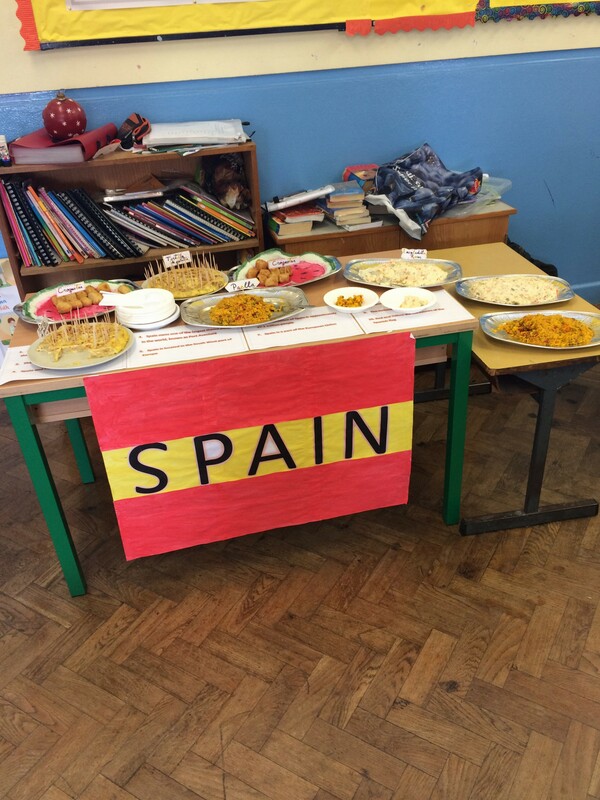 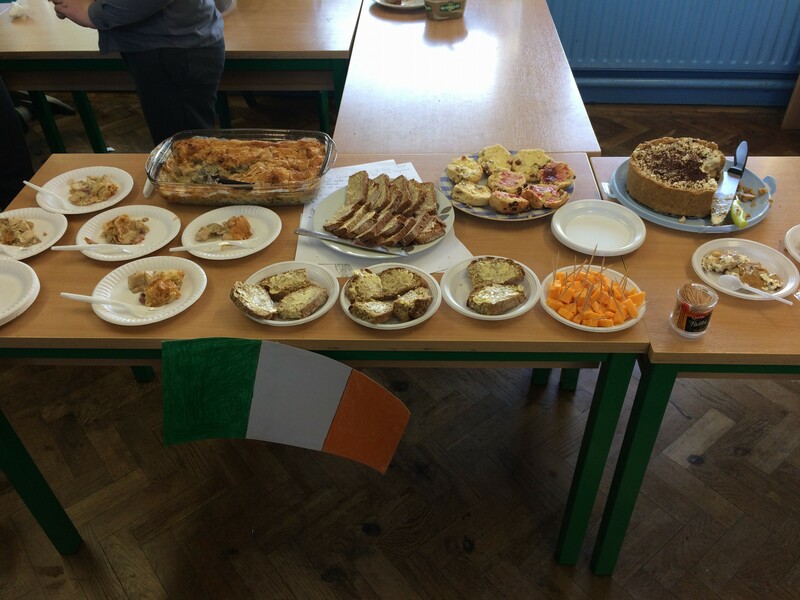 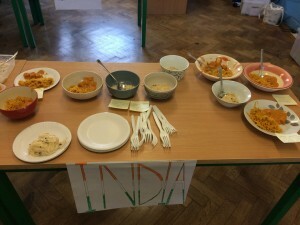 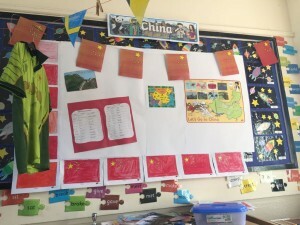 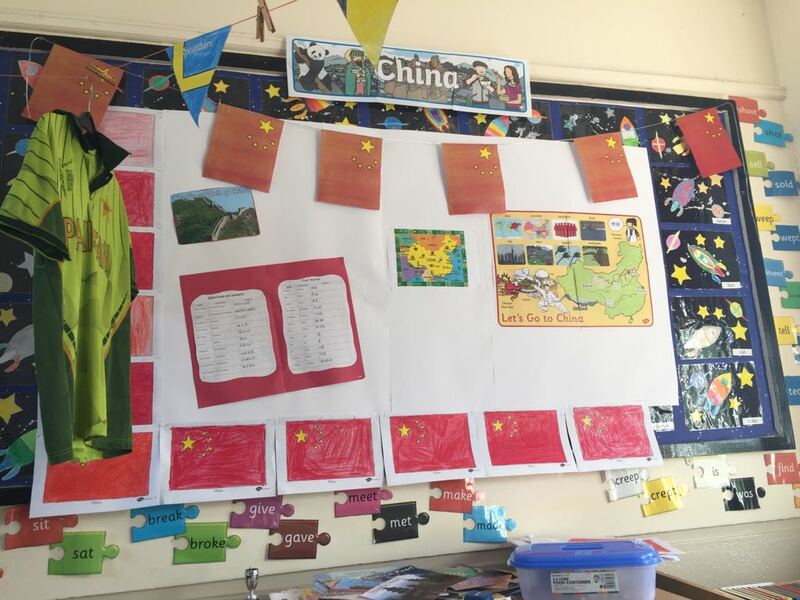 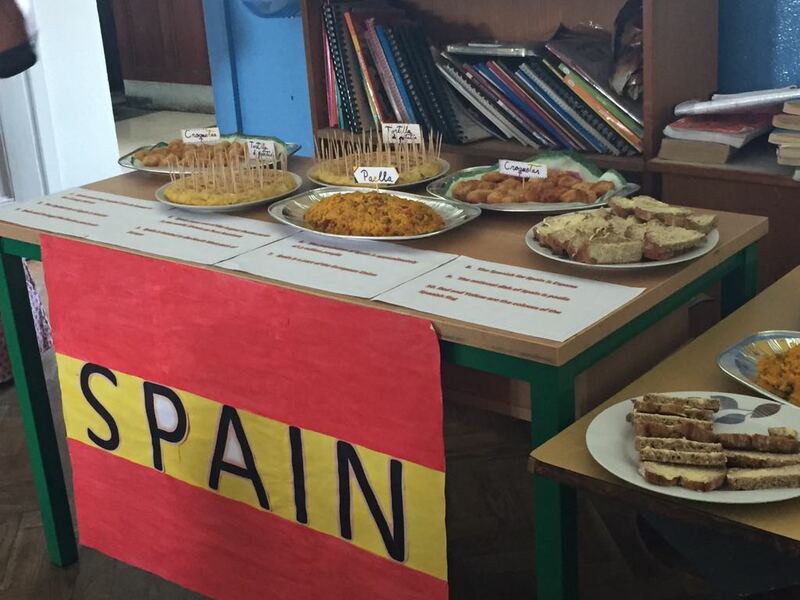 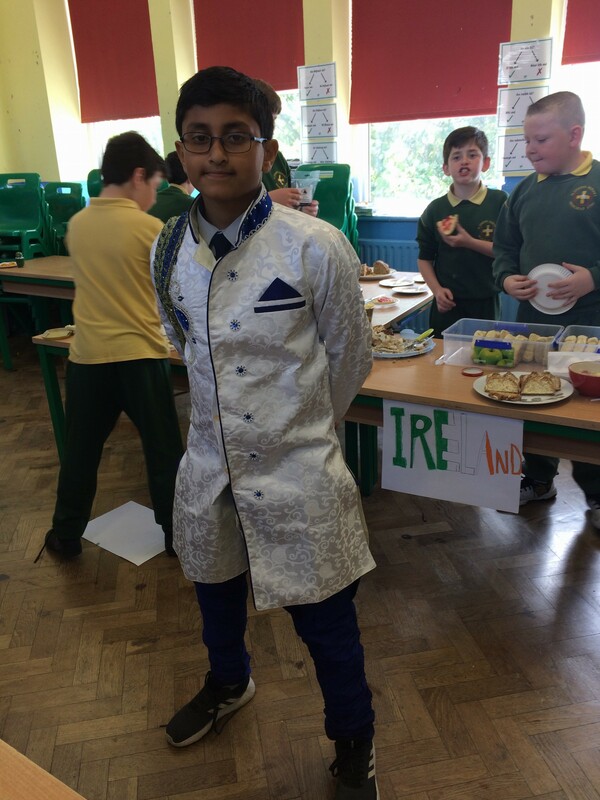 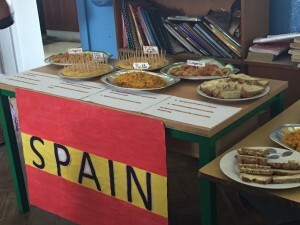 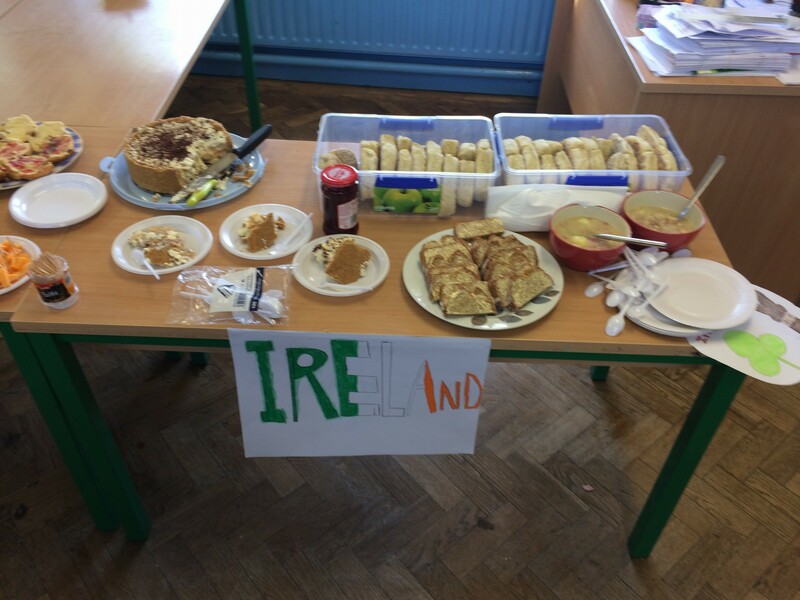 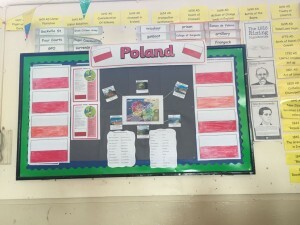 On the 14th of June,the fifth classes had a Multi Cultural Day. 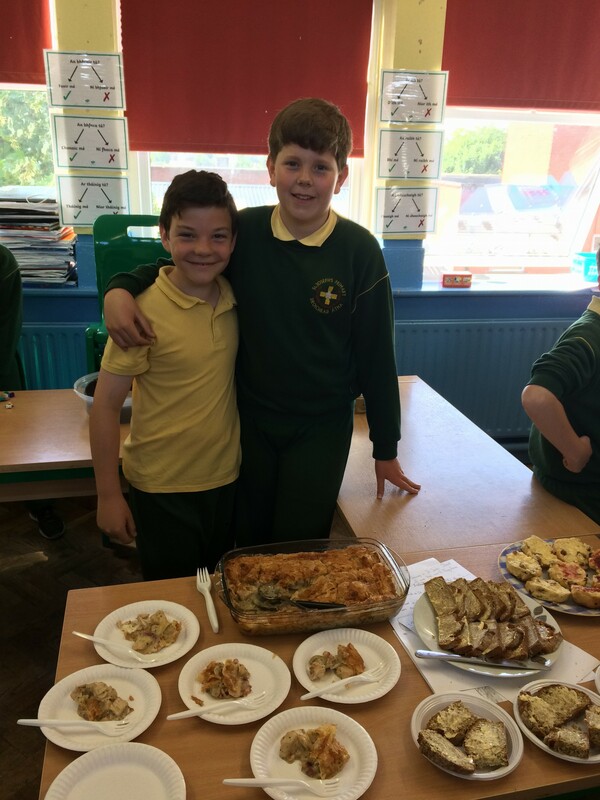 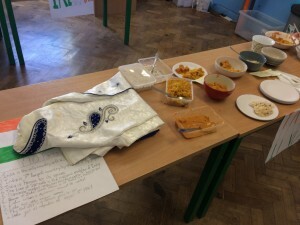 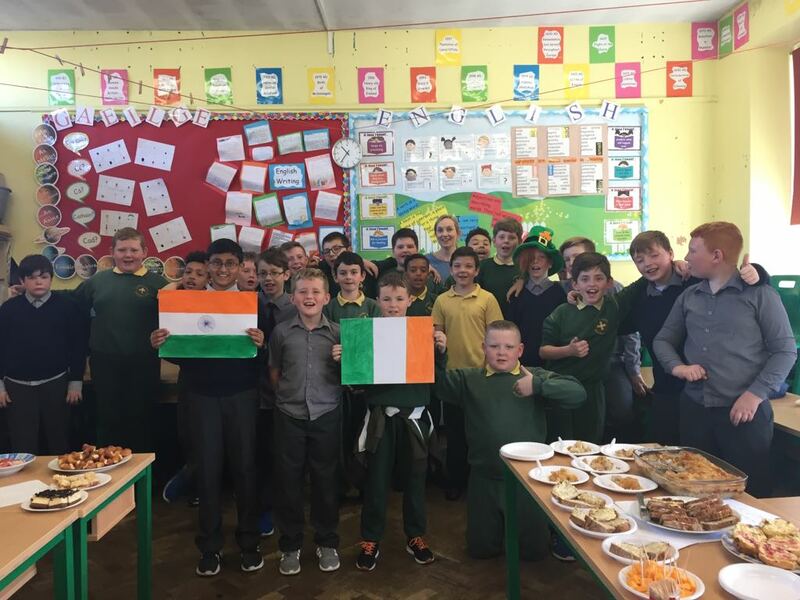 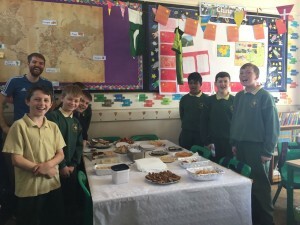 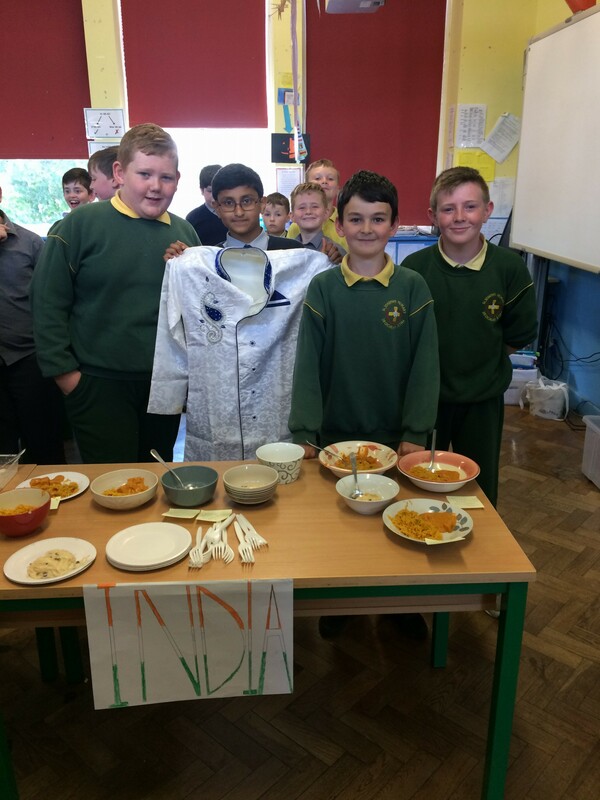 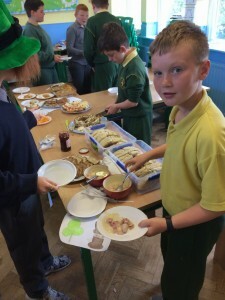 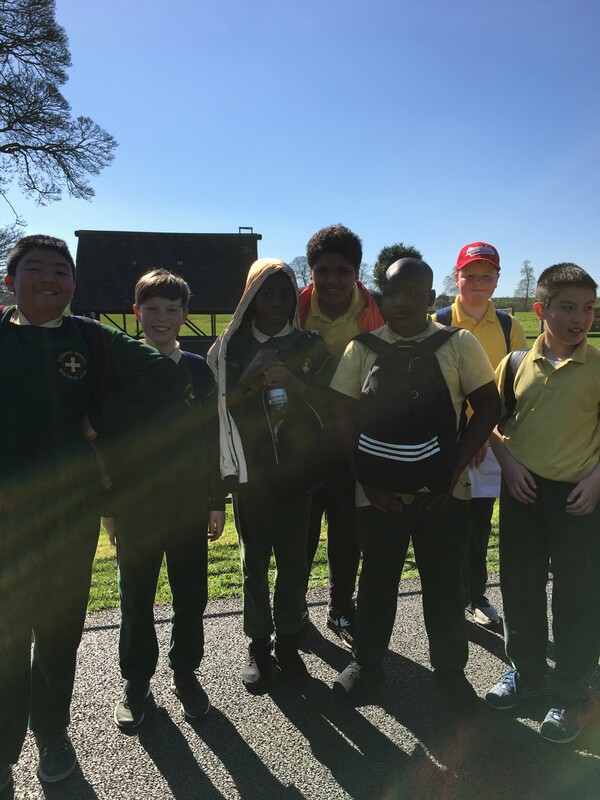 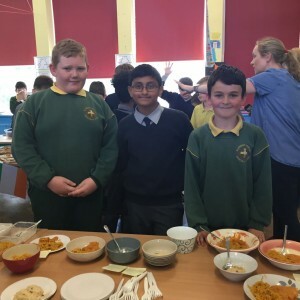 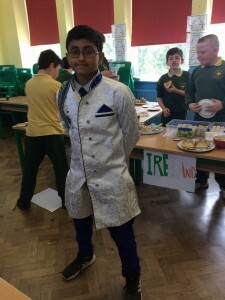 Lots of boys brought foods from different countries such as Ireland,India,Poland,Nigeria,Spain,Croatia,Trinidad and Tobago,Pakistan and China. 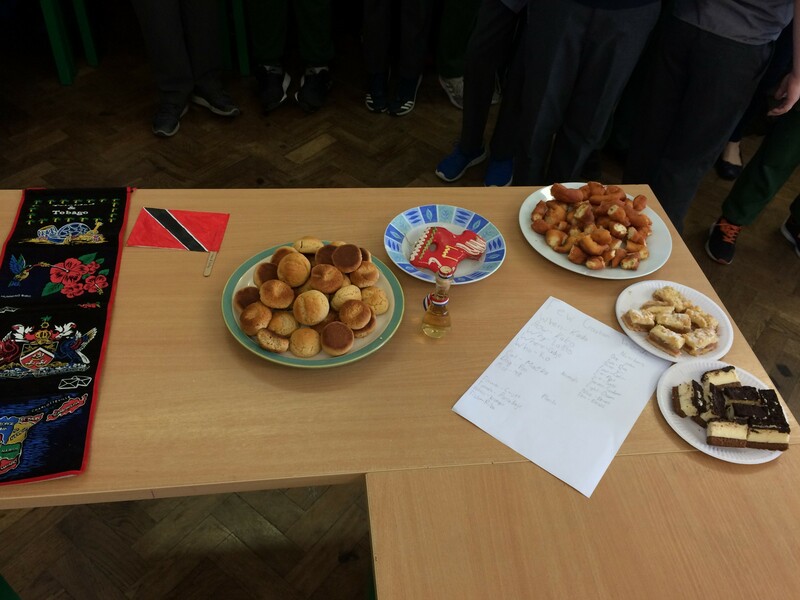 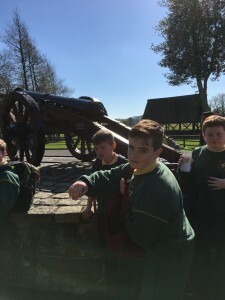 R6 had India,Ireland,Croatia and Trinidad and Tobago. R7 gave us a presentation from Spain. 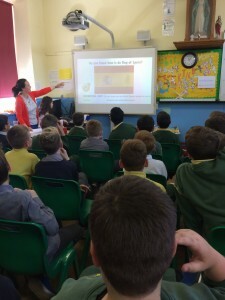 They told us a few facts about Spain like a famous sport called Bull Fighting and that Spain is a country that has no words in its national anthem. 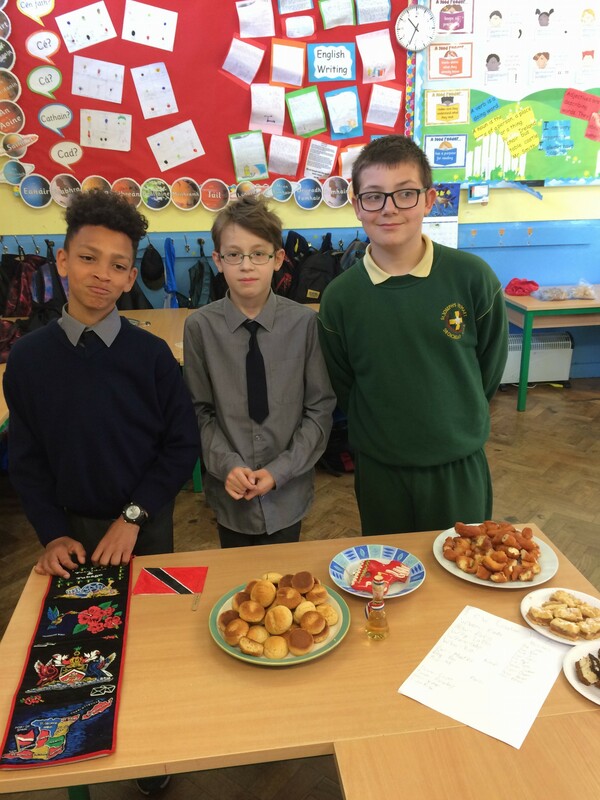 R8 represented Poland,China and Pakistan. 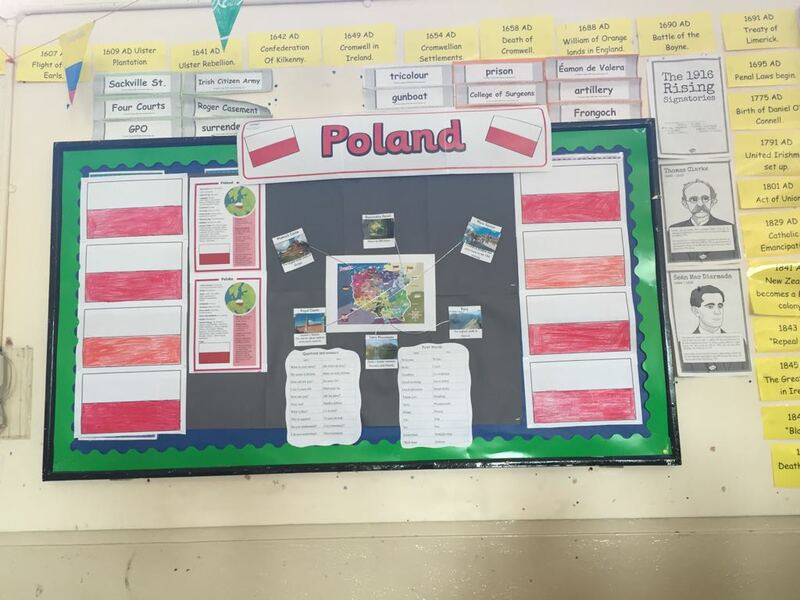 They had a few Chinese and Polish games aswell as quizzes. 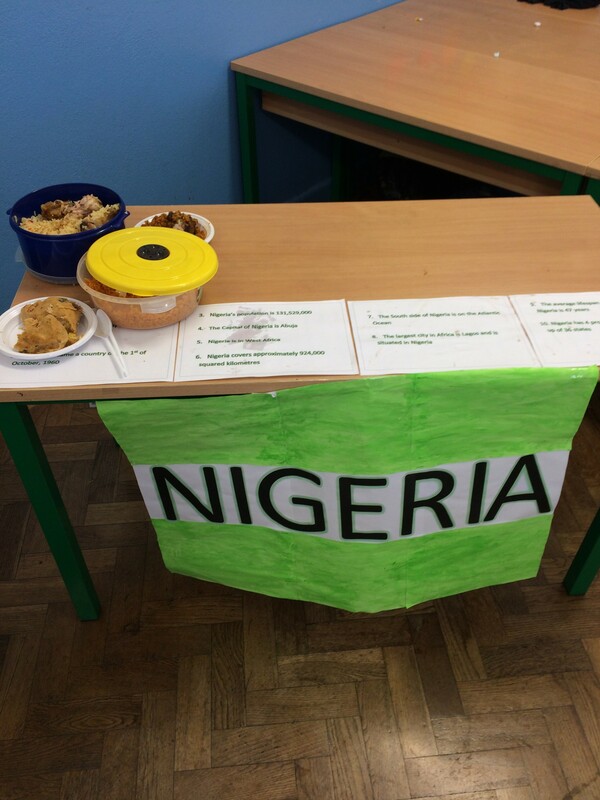 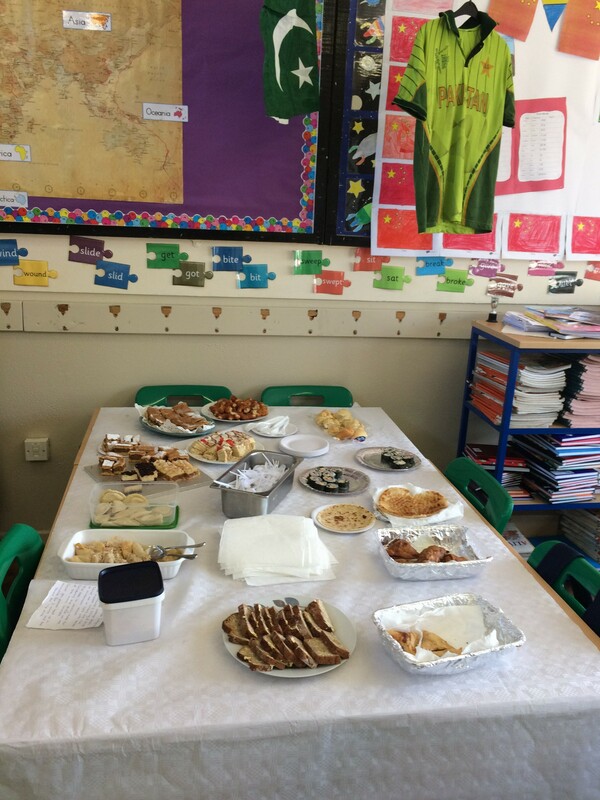 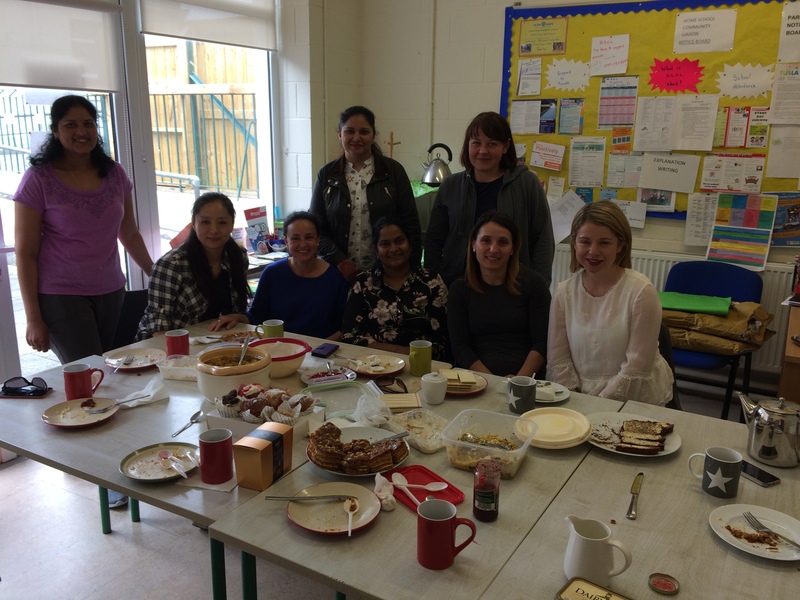 On Monday 18th June Mrs Horan hosted a Multi Cultural event for parents. Each parent brought food to represent their home country. 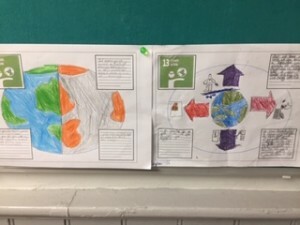 This Green School project is so simple and it provides exciting results in about a week. 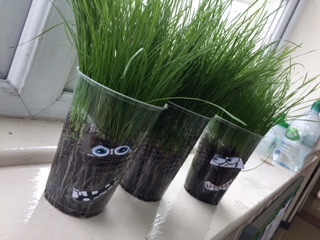 G4 loved watching their grasshead sprout hair and keep growing. 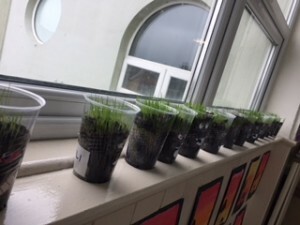 When it’s really long, they can trim it like a barber. 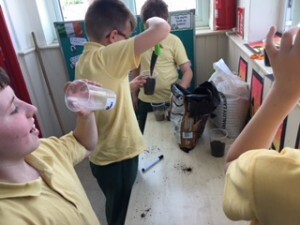 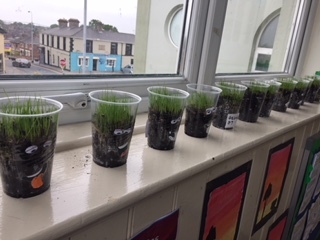 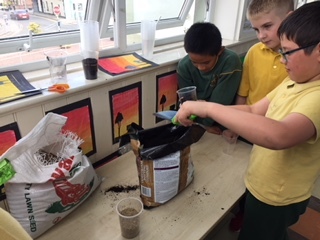 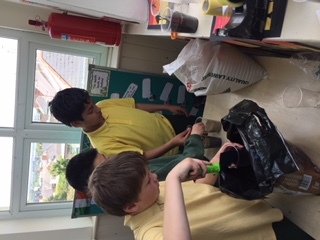 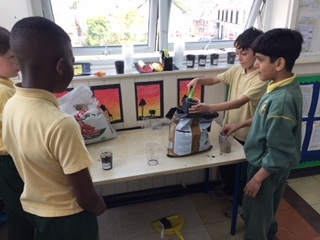 The children used plastic cups and planted grass seeds in compost in order to grow their Grass Heads. They added some odd facial features to finish them off!